Every mouth comes into this world as a clean slate. Some of us choose to take more care with ours then others might, but, even for those who maintain good dental hygiene and receive regular checkups, smiles can fade with time. As we get older our teeth can begin to weaken causing chipping to occur. At a certain stage your teeth might simply just fall out. If you're starting to see that the effects of aging might be negatively impacting your teeth then you should know that there is help available. Your new smile is not permanent and any embarrassment or sadness you might be feeling because of it can be reversed. We have the technology and the expertise necessary to restore your teeth, and your smile, to the best condition possible. Our teeth weather for many reasons. The stressors of a full life, all of the things a tooth must do over time, can cause it to age prematurely. Drs. Frankel and Puhl are not only concerned with making your teeth look great in the present, but making sure they can stand up to the future as well. 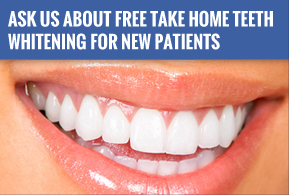 No matter what you may need done, the staff at Frankel Dentistry has selected the highest quality tools and has worked with the most cutting edge dental labs to ensure that your procedure will be an absolute success, leaving your mouth in excellent shape. If you're sick of having your smile limited by the effects of age, call or schedule an appointment with Drs. Frankel or Puhl. If you do, you can be sure that your procedure will be carried out using only the finest, most up-to-date tools and procedures out there. We'll work hard to make sure that when you leave our office you'll do so able to show the world the smile that you deserve to have.